When you live in the South, finding a way to cool off is essential to surviving the summer! 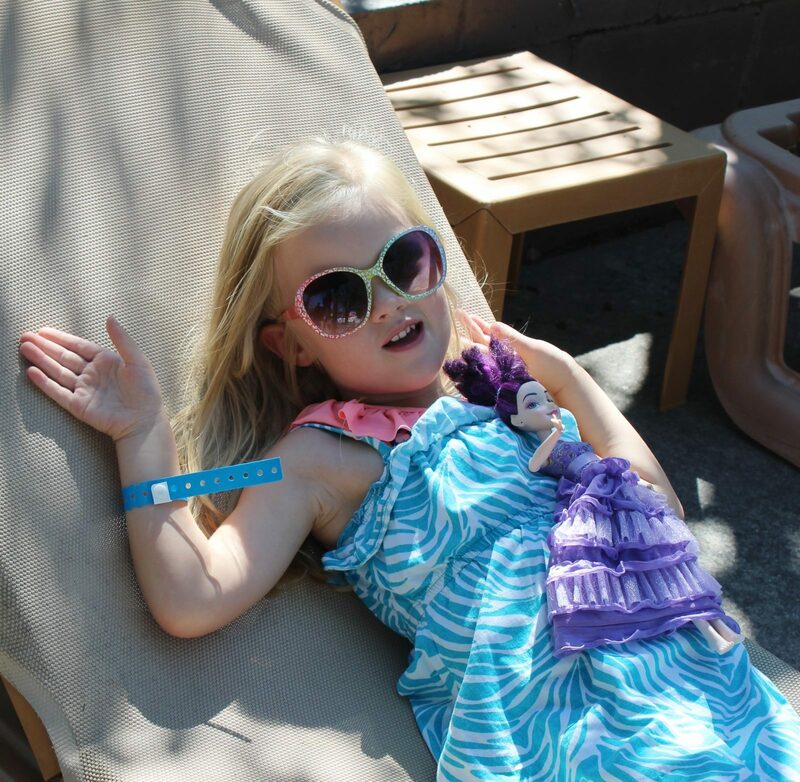 My little one loves the pool (if you couldn’t tell), so a few years ago I began looking for an affordable way she could swim all summer. I was SHOCKED at how expensive pool memberships are… $500 for a membership is just not in the budget! 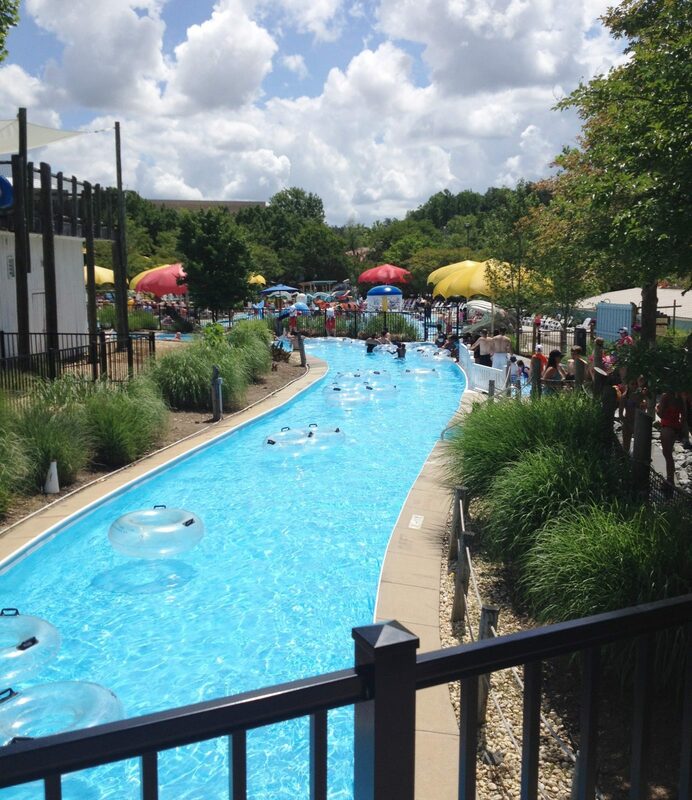 Then I discovered that we live about 45 minutes from Wet’n Wild Emerald Pointe in Greensboro, NC. While daily tickets are pretty pricey (see below for a special discount to bring the price down!) 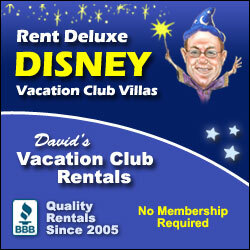 their season passes are totally affordable. This year I got season passes for both of us for $140 total. 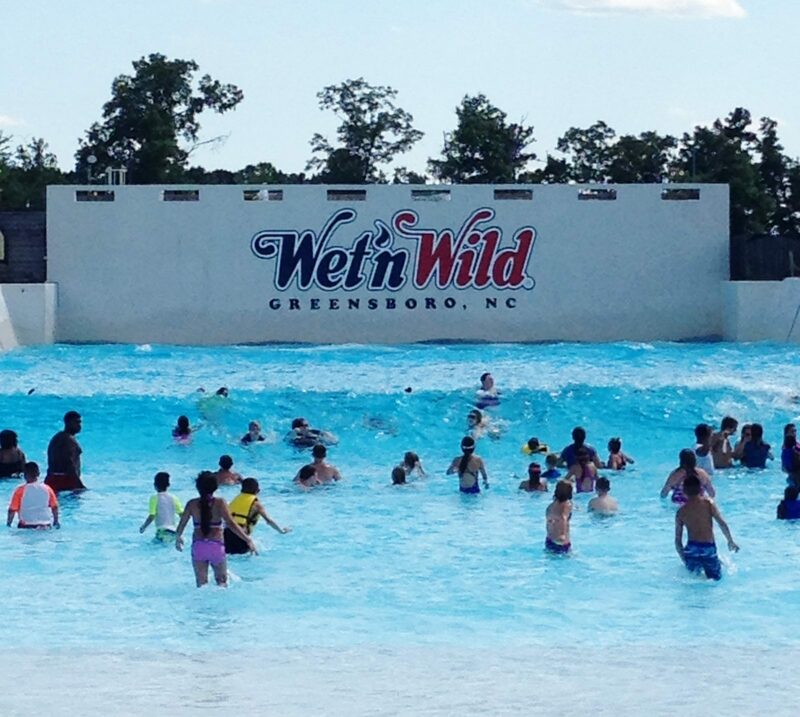 I think we get incredible value for our money at Wet’n Wild, especially considering that a membership at a local pool (with JUST A POOL) can cost four times that amount! 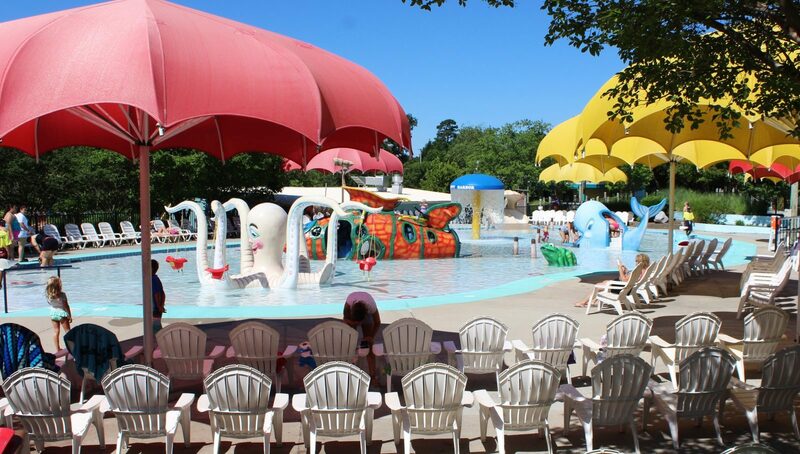 In addition to the famous wave pool and high-thrill waterslides, Emerald Point has lots to offer families with little ones. A lazy river and more. 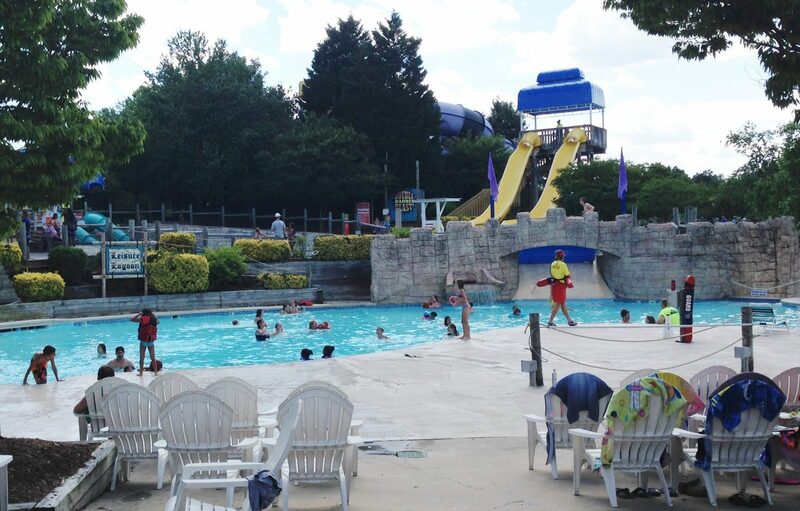 There are also several larger pools that little ones can go in provided they are wearing a Coast Guard-approved life vest (which are provided free of charge). 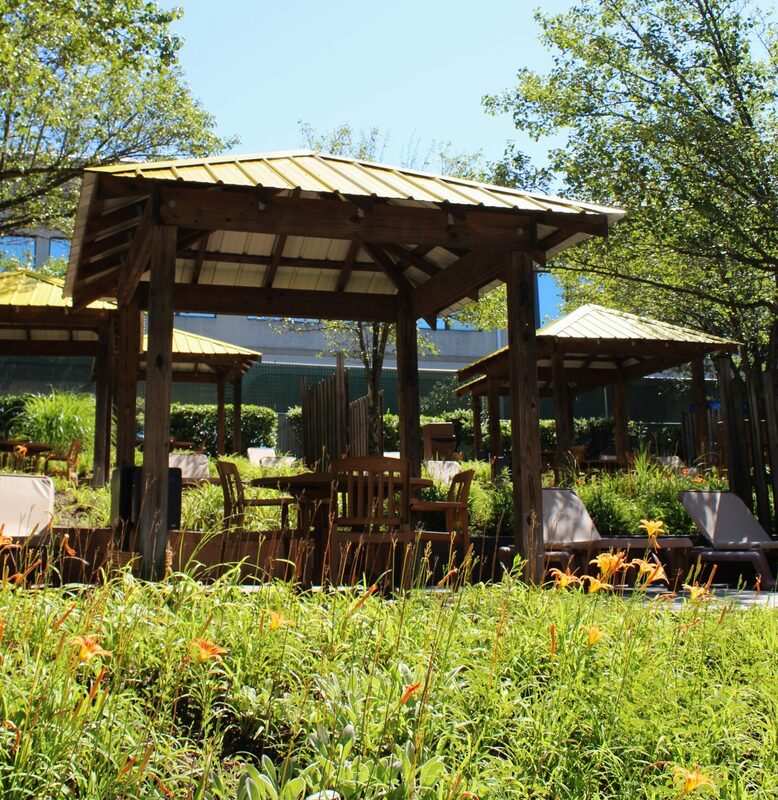 I was the guest of Emerald Point this week and they treated us to a Cabana, which is a fantastic way to “plus” your experience. You can have up to eight people per cabana and have access to your own table and chairs, lounge chairs, a safe for your valuables, and a server who can deliver food right to your cabana. Starting at $125 per day they certainly aren’t cheap, but they could be a nice way to celebrate a birthday or other special event with family and friends. And of course there’s food! Unfortunately, you can’t bring your own food into the park like you can at Disney, but I think the food isn’t overpriced and is at least decent quality. 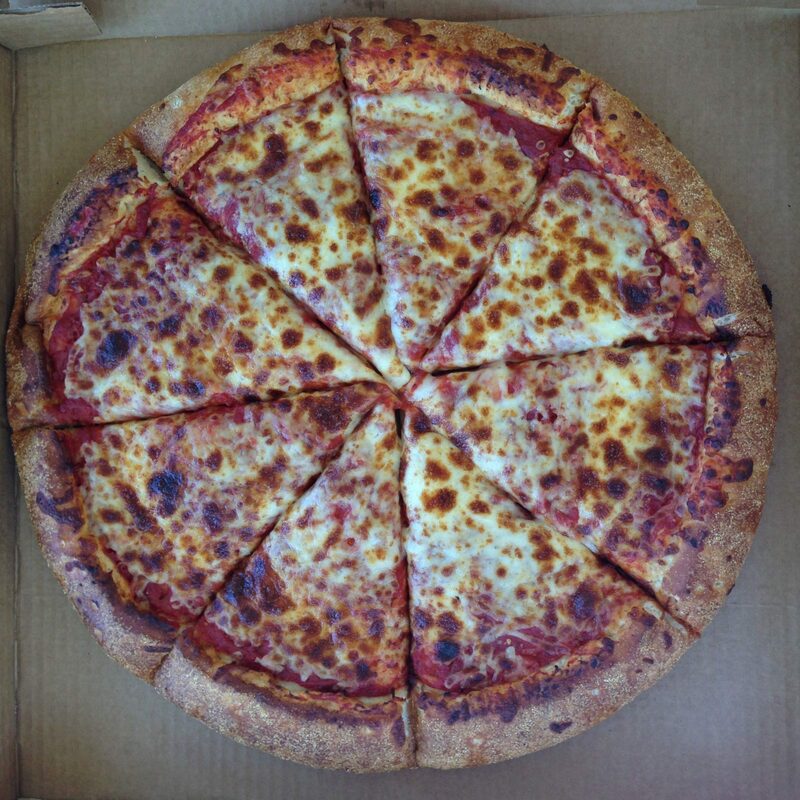 We like the pizza the best. 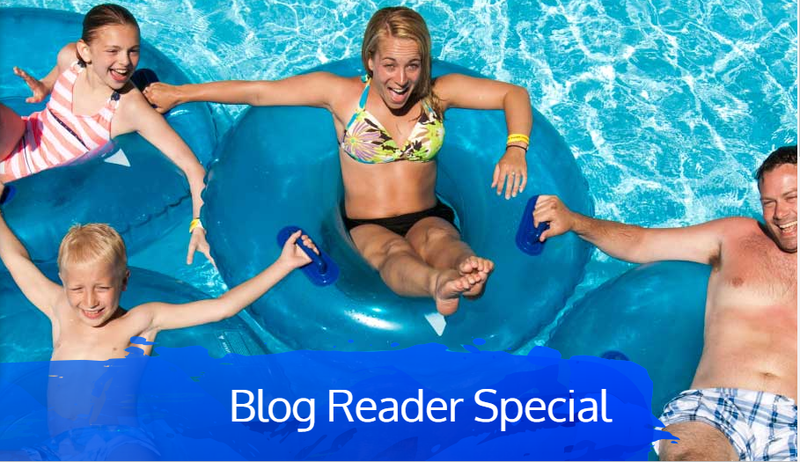 I am happy to be able to offer a special deal on daily tickets for my readers! If you click here to purchase your tickets, you’ll save $9 per ticket in June, August, and September, and $6 per ticket in July. That brings the cost per ticket down to as low as $30.99 which is one of the best deals I’ve seen on daily tickets to Emerald Point. 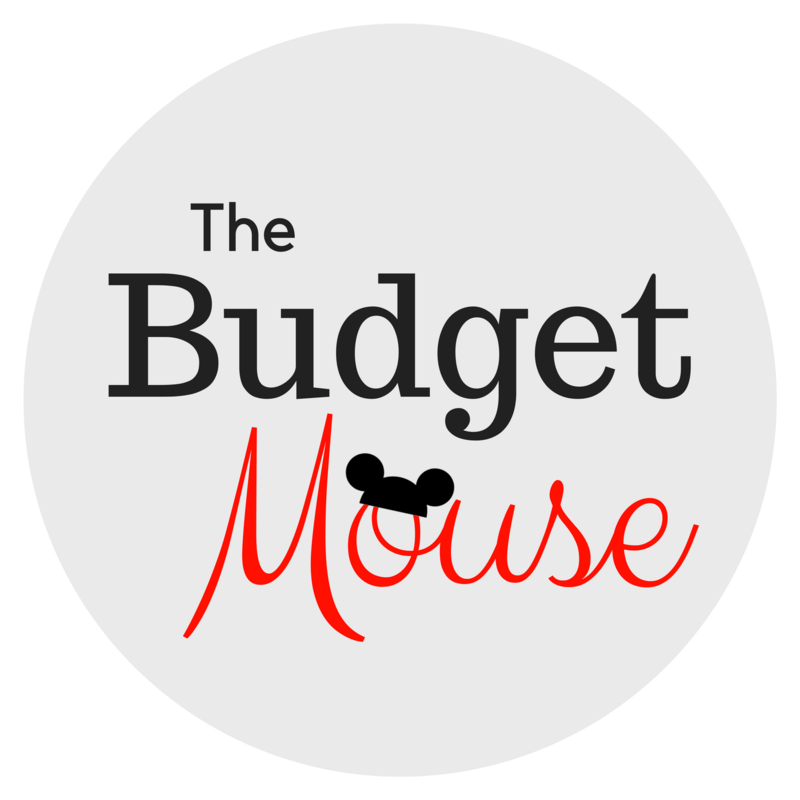 Alternatively, you can enter the promo code FrugalSouthSBlog17 at checkout to get your discount. 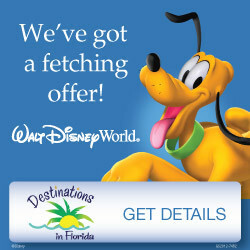 Or if you think you will visit more than once, get a season pass like we do! 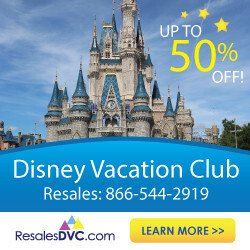 I suggest getting a Priority Pass for one adult ($89.99) that includes free parking on every visit, and then getting Super Saver passes ($49.99) for every other member of your family. I get two Bring-A-Friend tickets with my Priority Pass, which allows my husband to join us twice during the summer without having to buy him a separate ticket! I also get a 20% discount on all in-park purchases with my pass which helps bring the cost of food down. 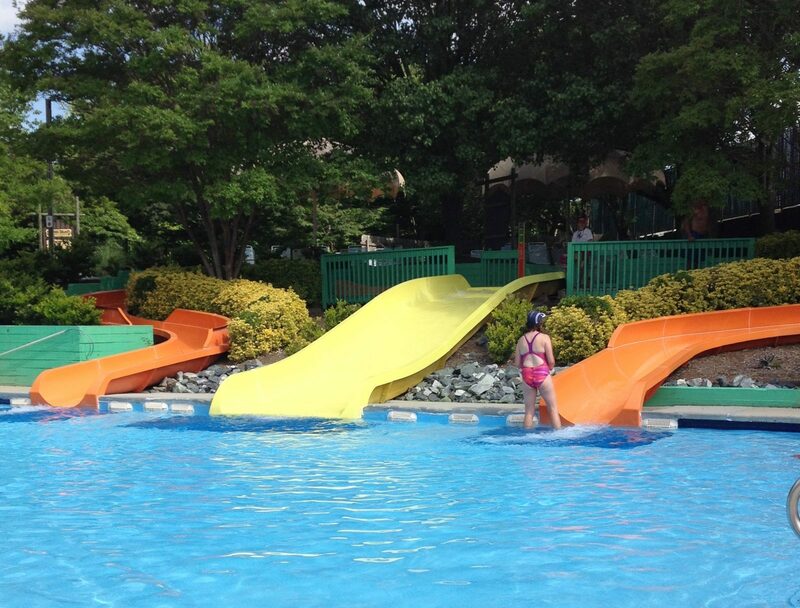 I think season passes to Wet’n Wild Emerald Point offer incredible bang for your buck. 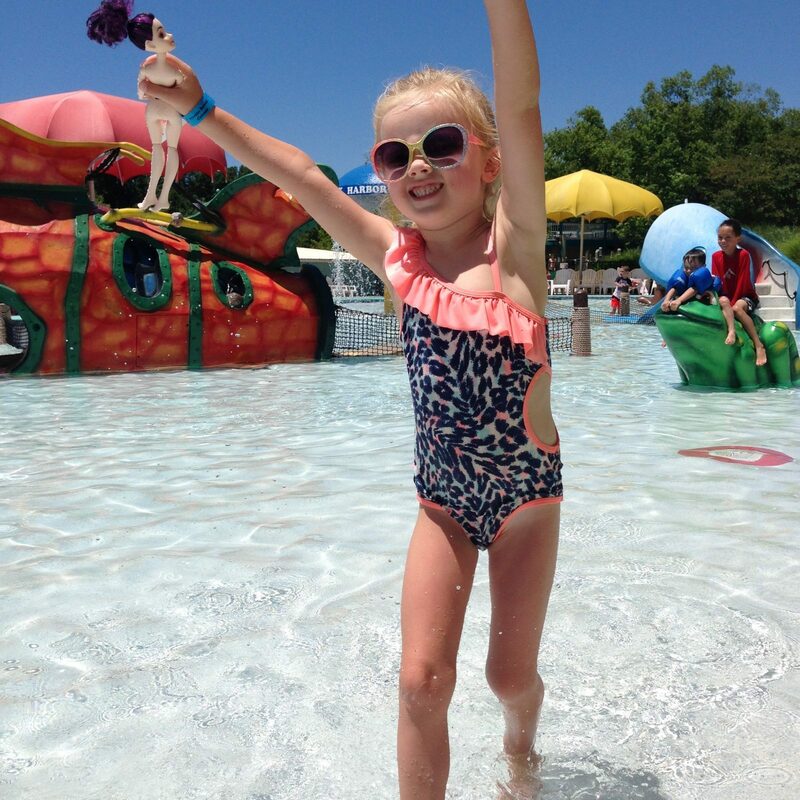 We have a blast every time we visit and save hundreds of dollars compared to a pool membership! Any questions about visiting Emerald Point? Just leave a comment below or send me a message on The Frugal South’s Facebook page! Wow awesome write up, we may look into this for our family as well! Thanks Ashley! I’m sure you would have a great time there!